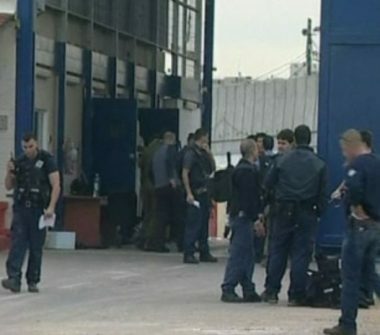 Israeli soldiers attacked, Monday, dozens of Palestinian political prisoners, held at the Ofer Israeli prison, near the central West Bank city of Ramallah, and moved 120 detainees to Nitzan prison in Ramla. The Palestinian Prisoners’ Society (PPS) said Special Forces of the Israeli Prison Authority invaded Section 11 in Ofer prison, on Monday morning, and initiated searches of the detainees and their belongings. It added that the soldiers attacked dozens of detainees while searching them, and moved 120 to Nitzan prison, without allowing them to take any of their belongings. The PPS said that Israel has recently escalated its violations and assaults against the detainees, and added that, just two weeks ago, the soldiers attacked many political prisoners in Asqalan, and moved them to other detention centers.